We never realize there has been any algorithmic upgrade until Google rolls it out. For once, this has not been the case this time. For once we know in advance that mobile app indexes are going to be considered separately for SERP rankings. For once, we have time to prepare for the big change that is about to happen post 21st April. But is this really a SEO deal breaker? 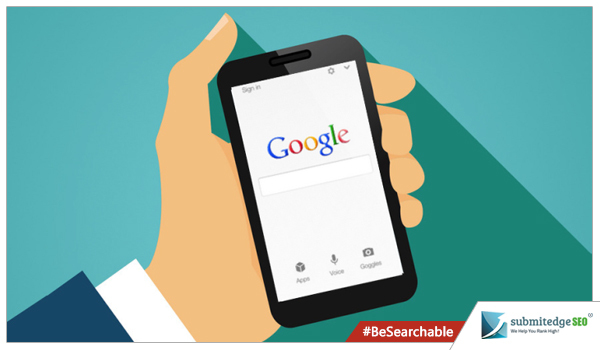 For most of us, this update suddenly brings into focus the increased frequency in mobile searches. The smartphone revolution as we call it has compelled many businesses to redirect part of their SEO practices towards mobile rankings. Before the algorithmic change was announced, the thumb rule for ranking has always been that desktop rankings would necessarily be in conjunction with mobile rankings. In other words, if a company website ranks #no 2 in desktop SERPs, it will definitely have the same ranking in mobile searches as well. This is about to change with the 21st April update, which greatly emphasizes on mobile results for higher conversions. In a nutshell, what Google is about to do is rank websites separately based on their desktop and mobile performances? This could be both good and bad in some sense. The good news is, businesses that have invested heavily in mobile-friendly SEO will have a cause for double celebration. In these terms, high and separate search engine rankings, separate cataloging of web traffic, and double the conversion rates to consider. It is important to note that the two-pronged SEO venture will require double the effort to achieve such results. This may not affect established corporations like Facebook that drives huge traffic from both its website and app. But it will definitely have an impact on startups, smaller companies that are looking for better conversions for their businesses via SEO. 1. Will the implementation affect my overall SEO performance? 2. Is there potential to do much more with it? 3. Will it increase web traffic and conversion rates significantly? The idea of making your website responsive for mobile use is definitely appealing. It is nevertheless crucial to understand at what point you will need to do this. Timing is everything, for you may have other considerations to follow up on. You may for instance require working on your current desktop-friendly website before you make the leap to mobile-friendly use. You could be aiming at a business upgrade that requires heavy investment. At this point, a responsive mobile website may not be at your priority. But when it is, you will need the right tools to determine the amount of traffic your website is currently making and compare that with the conversions you aim to reach for post the implementation of the 21st April algorithmic update.